For a while, I deliberately took a leave on issues concerning our so-called tourism apex body, Nigerian Tourism Development Corporation (NTDC). There were two major developments that led to the suspension of “hostilities” against the poor performing leadership of NTDC, which began in 2013 under Sally Mbanefo and got worse since late 2017 in most unexpected circumstances. First, I was under tremendous pressure to give the Folarin Coker-led NTDC leadership the much-needed breather to assess its work ethics and make necessary changes, particularly during and after the workers shut down the corporate office of NTDC to protest seeming poor management of this key federal government tourism institution. Indeed, the bullying of workers and harassment by the management had become a systematic orientation such that even the minister of tourism, Alhaji Lai Mohammed, could not handle it. Secondly, I also took leave to deepen reflections on how some of my colleagues in the media fed on the disconnect between the workers and the failed NTDC management, some positioning themselves as devil’s advocate by turning truth upside down for pecuniary and demonic advantage. So, I reasoned that, if one kept quiet for a while, their paycheck and the shameless recourse to photocopy my published works as evidence to convince the NTDC management to empower them to launch counter-attacks or “rejoinders” against me, the workers and other stakeholders who want to see a better and working NTDC, would cease to flow. In fact, the wasteful venture of these hawks systematically ceased. However, that holiday is over since I am convinced that NTDC under Coker would never fly. It is certainly a sad commentary that NTDC could not in any way be seen to have measured up on all indices of national tourism development, neither are the welfare and future of the workers reckoned with. It is also certainly not funny that while smaller nations in Africa such as Ghana, Tanzania, Gambia and Rwanda are doing well, the NTDC cannot and would never measure up with the kind of human resources and structures paraded in these countries to drive tourism within their domain and Africa in general. As we speak,I am yet to see any tangible or meaningful progressive tourism development, marketing or promotion template under Coker in the past one year plus. There was also no visible and verifiable urban or grassroot tourism intervention project anywhere in Nigeria, not even in Abuja, where NTDC is headquartered. 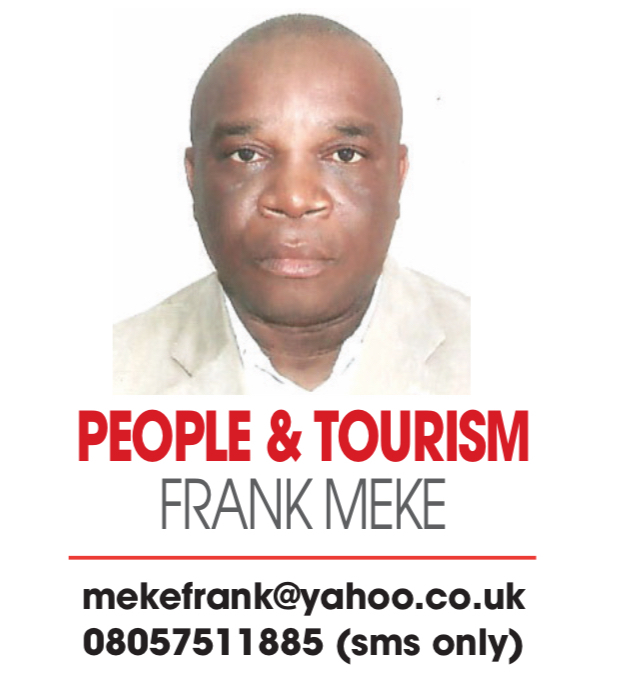 Human capacity building germane to progressive and sustainable advancement of national tourism development has been replaced by brigand and despotic animalistic bent never seen in the annals of tourism affairs management in Nigeria. Even the childish pranks of Sally Mbanefo, the national flag wearing exponent and immediate past failed boss of NTDC, cannot be compared to the folly inherent and on national exhibition in NTDC today. Honestly, I kind of wonder why our stakeholders, Minister Mohammed and the Presidency have all turned blind eyes to the systematic failure and deplorable grounding of this institution in recent times. Let me ask Nigerians and those whose stake is to select and appoint snakes in human skin as parastatal leaders, what wrong has tourism done that warrants everybody and everyone keeping mute about the ongoing retrogressive administrative rascality in NTDC? Is the trend a measure of our collective national apathy on tourism development or is it conclusive and indicative of damning verdict by President Buhari on how unimportant tourism is to the avowed slogan to the diversification of our economy through non-oil exports such as tourism? I am, however, persuaded to believe that President Buhari meant well for our country and its revival through the tourism economy, as the industry remains globally the sector to beat. The dead end scenario in NTDC today is not also the making of President Buhari but the satanic manipulation of our political system, which throws up scavengers and rats as best legs to champion dreams of national development and aspiration. No wonder we are daily confronted with our failings and shame as a poverty-creating nation, instead of wealth-creating destination. Time has come for this culture of failure in NTDC to stop. Mbanefo wasted our tourism gains under Segun Runsewe, and to wait for NTDC under Coker to be buried and sent to the morgue is a disaster too much to contemplate. Sadly, that is where we are currently heading. All hands must be on deck to salvage NTDC. It is shameful that the money released for tourism development to NTDC is deployed to enthrone kindergarten pastimes such as open court entertainment, Google training and other mundane, nonsensical deceptive pronouncements. to the best of my knowledge must be laid squarely at the office of Minister Mohammed and that of the Vice President, Prof. Yemi Osinbajo. I dare say if Coker and his management are peopled from the north of Nigeria, all kinds of unprintable generalisations would have filled the public space. I am using this medium to appeal to Coker’s NTDC of today to change for the better and be seen to do so, instead of giving up on Nigeria and President Buhari’s tourism dream at this critical bend of our nation. There are verified examples of successful tourism outposts by Otunba Runsewe, records waiting to be equaled or surpassed. NTDC should push for exemplary national tourism development and parameters, not become a junkyard of failed tourism dreams and vain boasting.